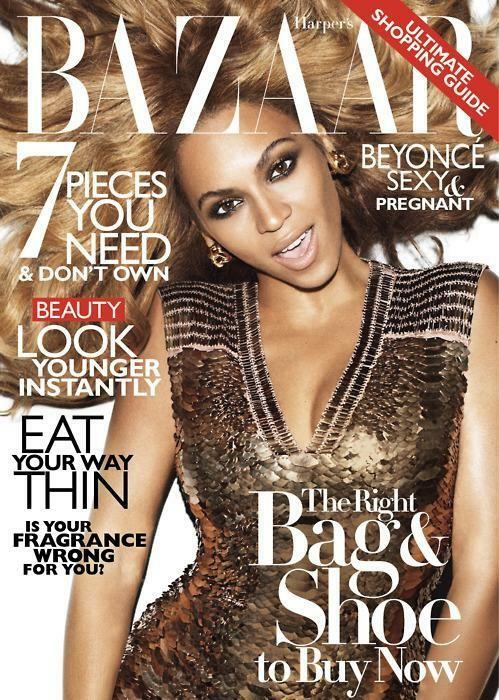 Beyoncé Knowles is gracing the November cover images of Harper’s Bazaar US photographed by the famed Terry Richardson and styled by Andrew Richardson. In the subscriber cover she is wearing Salvatore Ferragamo‘s fringe cape from the Resort 2012 collection. The pregnant diva was also featured for the September cover of the UK edition of Harper’s Bazaar, and the front pages of InStyle US September, Complex Magazine August/September, L’Uomo Vogue July/August and W July. Click here for last year cover featuring Christina Hendricks and here for subscriber cover featuring Georgia May Jagger. Click here to view 2009 cover featuring Tina Fey. This entry was posted on Wednesday, October 12th, 2011 at 5:00 AM	and tagged with Andrew Richardson, Beyonce, Constance Jablonski, Harper's Bazaar US, Salvatore Ferragamo, Terry Richardson and posted in Actors and Actresses, Cover, Magazine, Models, Photographers, Singer, Stylist. You can follow any responses to this entry through the RSS 2.0 feed.